Not to be confused with Free market or Fair trade. Free trade is a trade policy that does not restrict imports or exports; it can also be understood as the free market idea applied to international trade. In government, free trade is predominantly advocated by political parties that hold liberal economic positions while economically left-wing and nationalist political parties generally support protectionism, the opposite of free trade. Most nations are today members of the World Trade Organization multilateral trade agreements. Free trade is additionally exemplified by the European Economic Area and the Mercosur which have established open markets. However, most governments still impose some protectionist policies that are intended to support local employment, such as applying tariffs to imports or subsidies to exports. Governments may also restrict free trade to limit exports of natural resources. Other barriers that may hinder trade include import quotas, taxes and non-tariff barriers, such as regulatory legislation. There is a broad consensus among economists that protectionism has a negative effect on economic growth and economic welfare while free trade and the reduction of trade barriers has a positive effect on economic growth. However, liberalization of trade can cause significant and unequally distributed losses, and the economic dislocation of workers in import-competing sectors. Trade of goods without taxes (including tariffs) or other trade barriers (e.g. quotas on imports or subsidies for producers). Trade in services without taxes or other trade barriers. The absence of “trade-distorting” policies (such as taxes, subsidies, regulations, or laws) that give some firms, households, or factors of production an advantage over others. Unregulated access to market information. Inability of firms to distort markets through government-imposed monopoly or oligopoly power. Trade agreements which encourage free trade. Two simple ways to understand the proposed benefits of free trade are through David Ricardo‘s theory of comparative advantage and by analyzing the impact of a tariff or import quota. An economic analysis using the law of supply and demand and the economic effects of a tax can be used to show the theoretical benefits and disadvantages of free trade. Most economists would recommend that even developing nations should set their tariff rates quite low, but the economist Ha-Joon Chang, a proponent of industrial policy, believes higher levels may be justified in developing nations because the productivity gap between them and developed nations today is much higher than what developed nations faced when they were at a similar level of technological development. Underdeveloped nations today, Chang believes, are weak players in a much more competitive system. Counterarguments to Chang’s point of view are that the developing countries are able to adopt technologies from abroad whereas developed nations had to create new technologies themselves and that developing countries can sell to export markets far richer than any that existed in the 19th century. If the chief justification for a tariff is to stimulate infant industries, it must be high enough to allow domestic manufactured goods to compete with imported goods in order to be successful. This theory, known as import substitution industrialization, is largely considered ineffective for currently developing nations. The chart at the right analyzes the effect of the imposition of an import tariff on some imaginary good. Prior to the tariff, the price of the good in the world market (and hence in the domestic market) is Pworld. The tariff increases the domestic price to Ptariff. The higher price causes domestic production to increase from QS1 to QS2 and causes domestic consumption to decline from QC1 to QC2. This has three main effects on societal welfare. Consumers are made worse off because the consumer surplus (green region) becomes smaller. Producers are better off because the producer surplus (yellow region) is made larger. The government also has additional tax revenue (blue region). However, the loss to consumers is greater than the gains by producers and the government. The magnitude of this societal loss is shown by the two pink triangles. Removing the tariff and having free trade would be a net gain for society. An almost identical analysis of this tariff from the perspective of a net producing country yields parallel results. From that country’s perspective, the tariff leaves producers worse off and consumers better off, but the net loss to producers is larger than the benefit to consumers (there is no tax revenue in this case because the country being analyzed is not collecting the tariff). Under similar analysis, export tariffs, import quotas and export quotas all yield nearly identical results. Sometimes consumers are better off and producers worse off and sometimes consumers are worse off and producers are better off, but the imposition of trade restrictions causes a net loss to society because the losses from trade restrictions are larger than the gains from trade restrictions. Free trade creates winners and losers, but theory and empirical evidence show that the size of the winnings from free trade are larger than the losses. According to mainstream economics theory, the selective application of free trade agreements to some countries and tariffs on others can lead to economic inefficiency through the process of trade diversion. It is economically efficient for a good to be produced by the country which is the lowest cost producer, but this does not always take place if a high cost producer has a free trade agreement while the low cost producer faces a high tariff. Applying free trade to the high cost producer and not the low cost producer as well can lead to trade diversion and a net economic loss. This is why many economists place such high importance on negotiations for global tariff reductions, such as the Doha Round. The literature analysing the economics of free trade is extremely rich with extensive work having been done on the theoretical and empirical effects. Though it creates winners and losers, the broad consensus among economists is that free trade is a net gain for society. In a 2006 survey of American economists (83 responders), “87.5% agree that the U.S. should eliminate remaining tariffs and other barriers to trade” and “90.1% disagree with the suggestion that the U.S. should restrict employers from outsourcing work to foreign countries”. Quoting Harvard economics professor N. Gregory Mankiw, “[f]ew propositions command as much consensus among professional economists as that open world trade increases economic growth and raises living standards”. In a survey of leading economists, none disagreed with the notion that “freer trade improves productive efficiency and offers consumers better choices, and in the long run these gains are much larger than any effects on employment”. Most economists would agree that although increasing returns to scale might mean that a certain industry could settle in a particular geographical area without any strong economic reason derived from comparative advantage, this is not a reason to argue against free trade because the absolute level of output enjoyed by both winner and loser will increase, with the winner gaining more than the loser, but both gaining more than before in an absolute level. The notion of a free trade system encompassing multiple sovereign states originated in a rudimentary form in 16th century Imperial Spain. American jurist Arthur Nussbaum noted that Spanish theologian Francisco de Vitoria was “the first to set forth the notions (though not the terms) of freedom of commerce and freedom of the seas”. Vitoria made the case under principles of jus gentium. However, it was two early British economists Adam Smith and David Ricardo who later developed the idea of free trade into its modern and recognizable form. Economists who advocated free trade believed trade was the reason why certain civilizations prospered economically. For example, Smith pointed to increased trading as being the reason for the flourishing of not just Mediterranean cultures such as Egypt, Greece and Rome, but also of Bengal (East India) and China. 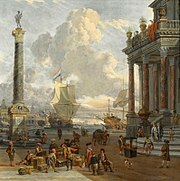 The great prosperity of the Netherlands after throwing off Spanish Imperial rule and pursuing a policy of free trade made the free trade/mercantilist dispute the most important question in economics for centuries. Free trade policies have battled with mercantilist, protectionist, isolationist, socialist, populist and other policies over the centuries. The Ottoman Empire had liberal free trade policies by the 18th century, with origins in capitulations of the Ottoman Empire, dating back to the first commercial treaties signed with France in 1536 and taken further with capitulations in 1673, in 1740 which lowered duties to only 3% for imports and exports and in 1790. Ottoman free trade policies were praised by British economists advocating free trade such as J. R. McCulloch in his Dictionary of Commerce (1834), but criticized by British politicians opposing free trade such as Prime Minister Benjamin Disraeli, who cited the Ottoman Empire as “an instance of the injury done by unrestrained competition” in the 1846 Corn Laws debate, arguing that it destroyed what had been “some of the finest manufactures of the world” in 1812. Trade in colonial America was regulated by the British mercantile system through the Acts of Trade and Navigation. Until the 1760s, few colonists openly advocated for free trade, in part because regulations were not strictly enforced (New England was famous for smuggling), but also because colonial merchants did not want to compete with foreign goods and shipping. According to historian Oliver Dickerson, a desire for free trade was not one of the causes of the American Revolution. “The idea that the basic mercantile practices of the eighteenth century were wrong”, wrote Dickerson, “was not a part of the thinking of the Revolutionary leaders”. Free trade came to what would become the United States as a result of American Revolutionary War. After the British Parliament issued the Prohibitory Act, blockading colonial ports, the Continental Congress responded by effectively declaring economic independence, opening American ports to foreign trade on 6 April 1776. According to historian John W. Tyler, “[f]ree trade had been forced on the Americans, like it or not”. In March 1801, the Pope Pius VII ordered some liberalization of trade to face the economic crisis in the Papal States with the motu proprio Le più colte. Despite this, the export of national corn was forbidden to ensure the food for the Papal States. In Britain, free trade became a central principle practiced by the repeal of the Corn Laws in 1846. Large-scale agitation was sponsored by the Anti-Corn Law League. Under the Treaty of Nanking, China opened five treaty ports to world trade in 1843. The first free trade agreement, the Cobden-Chevalier Treaty, was put in place in 1860 between Britain and France which led to successive agreements between other countries in Europe. Political dynamics would lead people to see a link between tariffs and the economic cycle that was not there. A boom would generate enough revenue for tariffs to fall, and when the bust came pressure would build to raise them again. By the time that happened, the economy would be recovering, giving the impression that tariff cuts caused the crash and the reverse generated the recovery. Mr Irwin also methodically debunks the idea that protectionism made America a great industrial power, a notion believed by some to offer lessons for developing countries today. As its share of global manufacturing powered from 23% in 1870 to 36% in 1913, the admittedly high tariffs of the time came with a cost, estimated at around 0.5% of GDP in the mid-1870s. In some industries, they might have sped up development by a few years. But American growth during its protectionist period was more to do with its abundant resources and openness to people and ideas. According to Paul Bairoch, since the end of the 18th century the United States has been “the homeland and bastion of modern protectionism”. In fact, the United States never adhered to free trade until 1945. For the most part, the Jeffersonians strongly opposed it. In the 19th century, statesmen such as Senator Henry Clay continued Alexander Hamilton‘s themes within the Whig Party under the name American System. The opposition Democratic Party contested several elections throughout the 1830s, 1840s and 1850s in part over the issue of the tariff and protection of industry. The Democratic Party favored moderate tariffs used for government revenue only while the Whigs favored higher protective tariffs to protect favored industries. The economist Henry Charles Carey became a leading proponent of the American System of economics. This mercantilist American System was opposed by the Democratic Party of Andrew Jackson, Martin Van Buren, John Tyler, James K. Polk, Franklin Pierce and James Buchanan. Under free trade the trader is the master and the producer the slave. Protection is but the law of nature, the law of self-preservation, of self-development, of securing the highest and best destiny of the race of man. [It is said] that protection is immoral […]. Why, if protection builds up and elevates 63,000,000 [the U.S. population] of people, the influence of those 63,000,000 of people elevates the rest of the world. We cannot take a step in the pathway of progress without benefitting mankind everywhere. Well, they say, ‘Buy where you can buy the cheapest’…. Of course, that applies to labor as to everything else. Let me give you a maxim that is a thousand times better than that, and it is the protection maxim: ‘Buy where you can pay the easiest.’ And that spot of earth is where labor wins its highest rewards. During the interwar period, economic protectionism took hold in the United States, most famously in the form of the Smoot–Hawley Tariff Act which is credited by economists with the prolonging and worldwide propagation of the Great Depression. :33 From 1934, trade liberalization began to take place through the Reciprocal Trade Agreements Act. Since the end of World War II, in part due to industrial size and the onset of the Cold War, the United States has often been a proponent of reduced tariff-barriers and free trade. 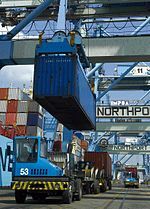 The United States helped establish the General Agreement on Tariffs and Trade and later the World Trade Organization, although it had rejected an earlier version in the 1950s, the International Trade Organization. Since the 1970s, United States governments have negotiated managed-trade agreements, such as the North American Free Trade Agreement in the 1990s, the Dominican Republic-Central America Free Trade Agreement in 2006 and a number of bilateral agreements (such as with Jordan). In Europe, six countries formed the European Coal and Steel Community in 1951 which became the European Economic Community (EEC) in 1958. Two core objectives of the EEC were the development of a common market, subsequently renamed the single market, and establishing a customs union between its member states. After expanding its membership, the EEC became the European Union in 1993. The European Union, now the world’s largest single market, has concluded free trade agreements with many countries around the world. Most countries in the world are members of the World Trade Organization which limits in certain ways but does not eliminate tariffs and other trade barriers. Most countries are also members of regional free trade areas that lower trade barriers among participating countries. The European Union and the United States are negotiating a Transatlantic Trade and Investment Partnership. Initially led by the United States, twelve countries that have borders on the Pacific Ocean are currently in private negotiations around the Trans-Pacific Partnership which is being touted by the negotiating countries as a free trade policy. In January 2017, President Donald Trump pulled the United States out of negotiations for the Trans-Pacific Parternship. Free trade may apply to trade in services as well as in goods. Non-economic considerations may inhibit free trade as a country may espouse free trade in principle, but ban certain drugs (such as alcohol) or certain practices (such as prostitution) and limiting international free trade. Some degree of protectionism is nevertheless the norm throughout the world. Most developed nations maintain controversial agricultural tariffs. From 1820 to 1980, the average tariffs on manufactures in twelve industrial countries ranged from 11 to 32%. In the developing world, average tariffs on manufactured goods are approximately 34%. The American economist C. Fred Bergsten devised the bicycle theory to describe trade policy. According to this model, trade policy is dynamically unstable in that it constantly tends towards either liberalisation or protectionism. To prevent falling off the bike (the disadvantages of protectionism), trade policy and multilateral trade negotiations must constantly pedal towards greater liberalisation. To achieve greater liberalisation, decision makers must appeal to the greater welfare for consumers and the wider national economy over narrower parochial interests. However, Bergsten also posits that it is also necessary to compensate the losers in trade and help them find new work as this will both reduce the backlash against globalisation and the motives for trades unions and politicians to call for protection of trade. In Kicking Away the Ladder, development economist Ha-Joon Chang reviews the history of free trade policies and economic growth and notes that many of the now-industrialized countries had significant barriers to trade throughout their history. The United States and Britain, sometimes considered the homes of free trade policy, employed protectionism to varying degrees at all times. Britain abolished the Corn Laws which restricted import of grain in 1846 in response to domestic pressures and reduced protectionism for manufactures only in the mid 19th century when its technological advantage was at its height, but tariffs on manufactured products had returned to 23% by 1950. The United States maintained weighted average tariffs on manufactured products of approximately 40–50% up until the 1950s, augmented by the natural protectionism of high transportation costs in the 19th century. The most consistent practitioners of free trade have been Switzerland, the Netherlands and to a lesser degree Belgium. Chang describes the export-oriented industrialization policies of the Four Asian Tigers as “far more sophisticated and fine-tuned than their historical equivalents”. The relative costs, benefits and beneficiaries of free trade are debated by academics, governments and interest groups. Arguments for protectionism fall into the economic category (trade hurts the economy or groups in the economy) or the moral category (the effects of trade might help the economy, but have ill effects in other areas). A general argument against free trade is that it is colonialism or imperialism in disguise. The moral category is wide, including concerns of destroying infant industries and undermining long-run economic development, income inequality, environmental degradation, supporting child labor and sweatshops, race to the bottom, wage slavery, accentuating poverty in poor countries, harming national defense and forcing cultural change. 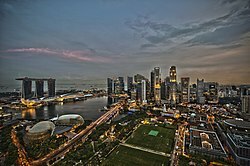 [better source needed] However, poor countries which have adopted free trade policies have experienced high economic growth, with China and India as prime examples. Free trade allows companies from rich countries to directly invest in poor countries, sharing their knowledge, providing capital and giving access to markets. Economic arguments against free trade criticize the assumptions or conclusions of economic theories. Sociopolitical arguments against free trade cite social and political effects that economic arguments do not capture, such as political stability, national security, human rights and environmental protection. There is a danger that a country could establish a monopoly in a certain product by underselling other countries and then use that monopoly position to unfairly increase prices at a later date. Some products are important to national security and it is dangerous to allow domestic producers of these products to go out of business, especially if the main producer is a country that may one day be an enemy. Countries which allow low wages to workers have a competitive advantage in attracting industry and this may lead to a general worsening of wages for workers in all countries. Some countries may facilitate low-cost production of goods in their countries by allowing pollution of the environment. This could allow more degradation of the world’s environment to occur. Free trade is often opposed by domestic industries that would have their profits and market share reduced by lower prices for imported goods. For example, if United States tariffs on imported sugar were reduced, sugar producers would receive lower prices and profits while sugar consumers would spend less for the same amount of sugar because of those same lower prices. The economic theory of David Ricardo holds that consumers would necessarily gain more than producers would lose. Since each of those few domestic sugar producers would lose a lot while each of a great number of consumers would gain only a little, domestic producers are more likely to mobilize against the lifting of tariffs. More generally, producers often favor domestic subsidies and tariffs on imports in their home countries while objecting to subsidies and tariffs in their export markets. Socialists frequently oppose free trade on the ground that it allows maximum exploitation of workers by capital. For example, Karl Marx wrote in The Communist Manifesto: “The bourgeoisie […] has set up that single, unconscionable freedom – free trade. In one word, for exploitation, veiled by religious and political illusions, it has substituted naked, shameless, direct, brutal exploitation”. Nonetheless, Marx did favor free trade, abeit solely because he felt that it would hasten the social revolution. Free trade is opposed by many anti-globalization groups based on their assertion that free trade agreements generally do not increase the economic freedom of the poor or the working class and frequently make them poorer. Where the foreign supplier allows de facto exploitation of labor, domestic free-labor is unfairly forced to compete with the foreign exploited labor. To this extent, free trade is seen as an end-run around workers’ rights and laws that protect individual liberty. Some opponents of free trade favor free trade theory, but oppose free trade agreements as applied. Some opponents of NAFTA see the agreement as being materially harmful to the common people, but some of the arguments are actually against the particulars of government-managed trade, rather than against free trade per se. For example, it is argued that it would be wrong to let subsidized corn from the United States into Mexico freely under NAFTA at prices well below production cost (dumping) because of its ruinous effects to Mexican farmers. Indeed, such subsidies violate free trade theory, so this argument is not actually against the principle of free trade, but rather its selective implementation. Research shows that support for trade restrictions is highest among respondents with the lowest levels of education. The authors find “that the impact of education on how voters think about trade and globalization has more to do with exposure to economic ideas and information about the aggregate and varied effects of these economic phenomena, than it does with individual calculations about how trade affects personal income or job security. This is not to say that the latter types of calculations are not important in shaping individuals’ views of trade – just that they are not being manifest in the simple association between education and support for trade openness”. A 2017 study found that individuals whose occupations are routine-task-intensive and who do jobs that are offshorable are more likely to be protectionist. Research suggests that attitudes towards free trade do not necessarily reflect individuals’ self-interests. It has long been argued that free trade is a form of colonialism or imperialism, a position taken by various proponents of economic nationalism and the school of mercantilism. In the 19th century, these criticized British calls for free trade as cover for British Empire, notably in the works of American Henry Clay, architect of the American System and by German American economist Friedrich List. More recently, Ecuadorian President Rafael Correa has denounced the “sophistry of free trade” in an introduction he wrote for a book titled The Hidden Face of Free Trade Accords, written in part by Correa’s current Energy Minister Alberto Acosta. Citing as his source the book Kicking Away the Ladder written by Ha-Joon Chang, Correa identified the difference between an “American system” opposed to a “British System” of free trade. The latter, he says, was explicitly viewed by the Americans as “part of the British imperialist system”. According to Correa, Chang showed that it was Treasury Secretary Alexander Hamilton and not List who was the first to present a systematic argument defending industrial protectionism. The following alternatives for free trade have been proposed, namely balanced trade, fair trade, protectionism and industrial policy. It is the maxim of every prudent master of a family, never to attempt to make at home what it will cost him more to make than to buy. […] If a foreign country can supply us with a commodity cheaper than we ourselves can make it, better buy it of them with some part of the produce of our own industry, employed in a way in which we have some advantage. This statement uses the concept of absolute advantage to present an argument in opposition to mercantilism, the dominant view surrounding trade at the time which held that a country should aim to export more than it imports and thus amass wealth. Instead, Smith argues, countries could gain from each producing exclusively the goods in which they are most suited to, trading between each other as required for the purposes of consumption. In this vein, it is not the value of exports relative to that of imports that is important, but the value of the goods produced by a nation. However, the concept of absolute advantage does not address a situation where a country has no advantage in the production of a particular good or type of good. This theoretical shortcoming was addressed by the theory of comparative advantage. 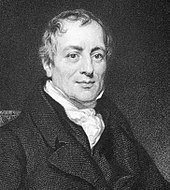 Generally attributed to David Ricardo, who expanded on it in his 1817 book On the Principles of Political Economy and Taxation, it makes a case for free trade based not on absolute advantage in production of a good, but on the relative opportunity costs of production. A country should specialize in whatever good it can produce at the lowest cost, trading this good to buy other goods it requires for consumption. This allows for countries to benefit from trade even when they do not have an absolute advantage in any area of production. While their gains from trade might not be equal to those of a country more productive in all goods, they will still be better off economically from trade than they would be under a state of autarky. We all hear with interest and pleasure of improvements in transportation by water or land; we are all disposed to regard the opening of canals, the building of railways, the deepening of harbors, the improvement of steamships as beneficial. But if such things are beneficial, how can tariffs be beneficial? The effect of such things is to lessen the cost of transporting commodities; the effect of tariffs is to increase it. If the protective theory be true, every improvement that cheapens the carriage of goods between country and country is an injury to mankind unless tariffs be commensurately increased. George considers the general free trade argument inadequate. He argues that the removal of protective tariffs alone is never sufficient to improve the situation of the working class, unless accompanied by a shift towards land value tax. ^ Murschetz, Paul (2013). State Aid for Newspapers: Theories, Cases, Actions. Springer Science+Business Media. p. 64. ISBN 978-3642356902. Parties of the left in government in adopt protectionist policies for ideological reasons and because they wish to save worker jobs. Conversely, right-wing parties are predisposed toward free trade policies. ^ Peláez, Carlos (2008). Globalization and the State: Volume II: Trade Agreements, Inequality, the Environment, Financial Globalization, International Law and Vulnerabilities. United States: Palgrave MacMillan. p. 68. ISBN 978-0230205314. Left-wing parties tend to support more protectionist policies than right-wing parties. ^ Mansfield, Edward (2012). Votes, Vetoes, and the Political Economy of International Trade Agreements. Princeton University Press. p. 128. ISBN 978-0691135304. Left-wing governments are considered more likely than others to intervene in the economy and to enact protectionist trade policies. ^ Warren, Kenneth (2008). Encyclopedia of U.S. Campaigns, Elections, and Electoral Behavior: A-M, Volume 1. SAGE Publications. p. 680. ISBN 9781412954891. Yet, certain national interests, regional trading blocks, and left-wing anti-globalization forces still favor protectionist practices, making protectionism a continuing issue for both American political parties. ^ See P.Krugman, «The Narrow and Broad Arguments for Free Trade», American Economic Review, Papers and Proceedings, 83(3), 1993 ; and P.Krugman, Peddling Prosperity: Economic Sense and Nonsense in the Age of Diminished Expectations, New York, W.W. Norton & Company, 1994. ^ a b “Free Trade”. IGM Forum. March 13, 2012. ^ “Import Duties”. IGM Forum. October 4, 2016. ^ “Trade Within Europe | IGM Forum”. www.igmchicago.org. Retrieved 2017-06-24. ^ a b c d Steven E. Landsburg. Price Theory and Applications, Sixth Edition, Chapter 8. ^ a b Pugel (2007), International Economics, pp. 311–312. ^ a b Alan C. Stockman, Introduction to Economics, Second Edition, Chapter 9. ^ a b N. Gregory Mankiw, Macroeconomics, Fifth Edition, Chapter 7. ^ Friedman, Milton. “The Case for Free Trade”. Hoover Digest. 1997 (4). Archived from the original on 22 January 2007. ^ Whaples, Robert (2006). “Do Economists Agree on Anything? Yes!”. The Economists’ Voice. 3 (9). doi:10.2202/1553-3832.1156. ^ Mankiw, Gregory (7 May 2006). “Outsourcing Redux”. Retrieved 22 January 2007. ^ “Poll Results”. IGM Forum. Retrieved 1 July 2016. ^ Giovanni Arrighi (1994). The Long Twentieth Century: Money, Power, and the Origins of Our Times. Verso. p. 58. ISBN 978-1-85984-015-3. ^ a b Arthur Nussbaum (1947). A concise history of the law of nations. Macmillan Co. p. 62. ^ Appleby, Joyce (2010). The Relentless Revolution: A History of Capitalism. New York City, New York: W. W. Norton & Company. ^ Dickerson, The Navigation Acts and the American Revolution, p. 140. ^ Tyler, Smugglers & Patriots, p. 238. ^ International Monetary Fund Research Dept. (1997). World Economic Outlook, May 1997: Globalization: Opportunities and Challenges. International Monetary Fund. p. 113. ISBN 9781455278886. ^ a b “A historian on the myths of American trade”. The Economist. Retrieved 2017-11-26. ^ Larry Schweikart, What Would the Founders Say? (New York: Sentinel, 2011), pp. 106–124. ^ Lind, Matthew. “Free Trade Fallacy”. Prospect. Archived from the original on 6 January 2006. Retrieved 3 January 2011. ^ Eun, Cheol S.; Resnick, Bruce G. (2011). International Financial Management, 6th Edition. New York: McGraw-Hill/Irwin. ISBN 978-0-07-803465-7. ^ Irwin, Douglas A. (2017-09-19). “Steve Bannon’s Bad History”. Wall Street Journal. ISSN 0099-9660. Retrieved 2017-09-20. ^ “EU position in world trade”. European Commission. Retrieved 24 May 2015. ^ “Agreements”. European Commission. Retrieved 17 March 2016. ^ “Members and Observers”. World Trade Organisation. Retrieved 3 January 2011. ^ “Everything You Need To Know About The Trans-Pacific Partnership”. The Washington Post. Retrieved 28 December 2014. ^ “Trans-Pacific Partnership”. U.S. Trade Representative. Archived from the original on 27 December 2014. Retrieved 28 December 2014. ^ “Trump Abandons Trans-Pacific Parternship, Obama’s Signature Trade Deal”. New York Times. Retrieved 2 September 2017. ^ Destler, Mac and Noland, Marcus (July 2, 2014). Constant Ends, Flexible Means: C. Fred Bergsten and the Quest for Open Trade. Peterson Institute for International Economics. ^ “Global Enabling Trade Index”. ^ William Baumol and Alan Blinder, Economics: Principles and Policy, p. 722. ^ a b Brakman, Steven; Harry Garretsen; Charles Van Marrewijk; Arjen Van Witteloostuijn (2006). Nations and Firms in the Global Economy : An Introduction to International Economics and Business. Cambridge: Cambridge University Press. ISBN 978-0-521-83298-4. ^ Richard L. Stroup, James D. Gwartney, Russell S. Sobel, Economics: Private and Public Choice, p. 46. ^ Pugel, Thomas A. (2003). International economics. Boston: McGraw-Hill. ISBN 978-0-07-119875-2. ^ “Earnings – National”. Databases, Tables & Calculators by Subject. Bureau of Labor Statistics. Archived from the original on 15 March 2012. Retrieved 16 March 2012. ^ “Table 1.1.5. Gross Domestic Product”. National Income and Product Accounts Table. U.S. Department of Commerce Bureau of Economic Analysis. Retrieved 16 March 2012. ^ a b Hainmueller, Jens; Hiscox, Michael J. (2006-04-01). “Learning to Love Globalization: Education and Individual Attitudes Toward International Trade”. International Organization. 60 (2): 469–498. CiteSeerX 10.1.1.407.4650. doi:10.1017/S0020818306060140. ISSN 1531-5088. ^ Owen, Erica; Johnston, Noel P. (2017). “Occupation and the Political Economy of Trade: Job Routineness, Offshorability, and Protectionist Sentiment”. International Organization. 71 (4): 665–699. doi:10.1017/S0020818317000339. ISSN 0020-8183. ^ Mansfield, Edward D.; Mutz, Diana C. (2009-07-01). “Support for Free Trade: Self-Interest, Sociotropic Politics, and Out-Group Anxiety”. International Organization. 63 (3): 425–457. doi:10.1017/S0020818309090158. ISSN 1531-5088. ^ “Why Don’t Trade Preferences Reflect Economic Self-Interest?” (PDF). ^ “Gentlemen deceive themselves. It is not free trade that they are recommending to our acceptance. It is, in effect, the British colonial system that we are invited to adopt; and, if their policy prevail, it will lead, substantially, to the recolonization of these States, under the commercial dominion of Great Britain.”, “In Defense of the American System, Against the British Colonial System.” 1832, Feb 2, 3, and 6, Clay, Henry (1843). “The Life and Speeches of Henry Clay”. II: 23–24. ^ Smith, Wealth of Nations, pp. 264–265. ^ Cowen, Tyler (May 1, 2009). “Anti-Capitalist Rerun”. The American Interest. 4 (5). Retrieved 15 November 2014. ^ “Protection or Free Trade – Chapter 16”. Protection or Free Trade. Bhagwati, Jagdish. Free Trade Today. Princeton: Princeton University Press (2002). ISBN 0-691-09156-0. Chang, Ha-Joon. Kicking Away The Ladder: Development Strategy in Historical Perspective. London: Anthem Press 2003. ISBN 978-1-84331-027-3. Dickerson, Oliver M. The Navigation Acts and the American Revolution. New York : Barnes (1963). ISBN 978-0374921620 OCLC 490386016. Pugel, Thomas A. International Economics, 13th edition. New York: McGraw-Hill Irwin (2007). ISBN 978-0-07-352302-6. Ricardo, David. On the Principles of Political Economy and Taxation, Library of Economics and Liberty (1999). Smith, Adam. An Inquiry into the Nature and Causes of the Wealth of Nations, Digireads Publishing (2009), ISBN 1-4209-3206-3. Tyler, John W. Smugglers & Patriots: Boston Merchants and the Advent of the American Revolution. Boston: Northeastern University Press (1986). ISBN 0-930350-76-6. Medley, George Webb (1881). England under free trade . London: Cassell, Petter, Galpin & Co.
World Trade Organization. 2018. History of the multilateral trading system. Galiani, Sebastian, Norman Schofield, and Gustavo Torrens. 2014. “Factor Endowments, Democracy and Trade Policy Divergence”. Journal of Public Economic Theory. 16(1): 119–56.